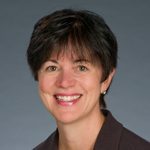 As Special Advisor to the Dean, Government Relations, Cindi Valensky liaises with the UBC Executive and UBC Government Relations on matters of significant impact to the Faculty. She provides enabling linkage to the Provincial Government and supports the Dean in responding to new issues of significant impact to the Faculty. Ms. Valensky brings over 20 years of management experience working with the not-for-profit sector, most recently as VP and Chief Development Officer, BC Children’s Hospital Foundation. After taking a sabbatical to spend time with her young son and complete an MBA, she joined the Faculty in 2007. Ms. Valensky worked initially with the Dean and Executive Team to recruit a strong Development and Alumni Affairs team, and has also played a significant role in development of the Faculty’s strategic plan.